The Huracan screed has been made to deal with the more demanding jobs. 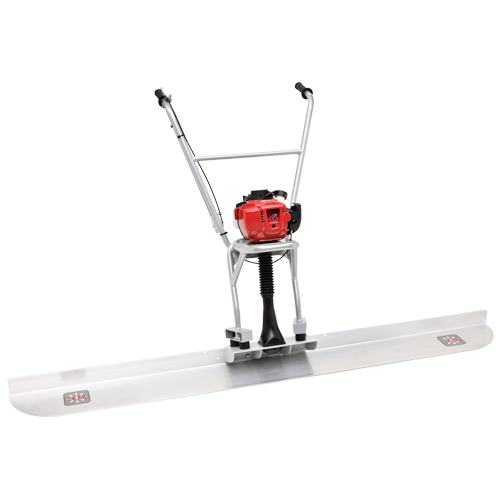 It comes equipped with a 1.6hp motor to tackle the differing consistencies of concrete. This, combined with the rigorously studied design, also allows each of the differing profile sizes (2m to 5m) to glide easily over the concrete with a long life span. The profile is also symetrical allowing for double use by rotating the screed.